Jan Care Accident Injures Three People in Doddridge County: West Virginia State Police are investigating an ambulance crash that happened in Doddridge County on the night of May 20, 2013. A Jan-Care ambulance crashed on Route 50 near Arnold’s Creek just after 11 p.m. The ambulance driver told police that he had fallen asleep while driving. The driver said he was traveling toward Parkersburg when the vehicle ran off the roadway and ended up in the guard rail and a ravine, according to West Virginia State Police. One person was flown to Ruby Memorial Hospital. There was one patient in the ambulance, according to 911 officials. The patient and another person in the ambulance were taken to United Hospital Center for treatment. State police have not released the names of the people involved. Their injuries didn’t appear to be life threatening. Most of us realize how dangerous driving under the influence or texting while driving is, but driving while drowsy can be equally dangerous. Sleepiness can cause slower reaction times, blurred vision, lapses in judgment, and delays in processing information. Ambulance drivers are on call 24-7 — it is no wonder that the drivers are often driving while sleep deprived. It is especically sad when an ambulance driver whose only intent is to save lives falls asleep at the wheel and causes injury. This is the second major Jan Care accident in this area this year. I am confident the Jan Care company will be revising policies or will at least have a new urgency in working to prevent future accidents that could injure their staff and the patients who have been trusted to their care. If you think you could fall asleep, pull over and take a 15-20 minute nap — does not apply to ambulance drivers! Avoid driving at times you would normally be asleep — also does not apply to ambulance drivers. Robinette Legal Group, PLLC in Morgantown, WV. You may not have been able to avoid the collision that caused your injuries, but you can avoid the unnecessary pitfalls of dealing with the insurance adjusters who are motivated and trained to devalue your claim, if not destroy it altogether. 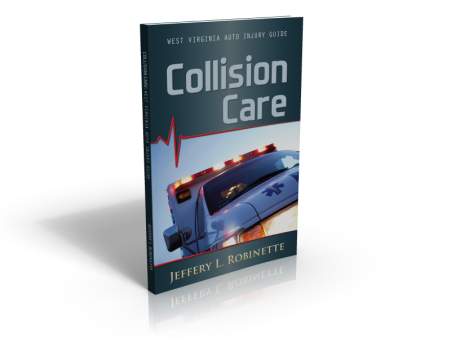 Call our office today for free books for WV accident victims: Collision Care: West Virginia Auto Collision Guide, and Righting the Wrong, West Virginia Serious Injury Guide: 304-594-1800.